How is everyone hanging on this Lundi Gras? 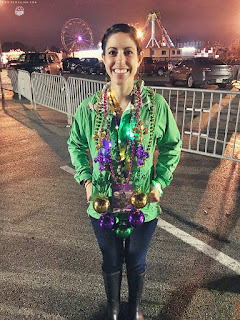 The weather has certainly not been friendly to the festivities this year, but it seems like everyone still has that Mardi Gras spirit going strong! 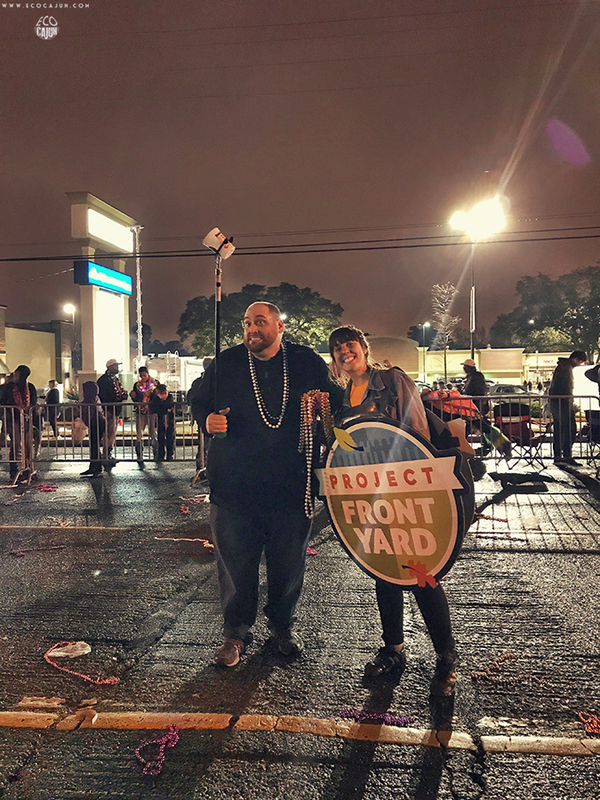 My favorite parts of Mardi Gras this year have definitely been the unique sustainable initiatives of Krewe de Canailles and Project Front Yard. As part of Project Front Yard's partnership with the Krewe of Rio, a group of 25 Project Front Yard volunteers met prior to the parade kick-off and assisted Krewe members in recycling more than 4,600 pounds of cardboard and almost 400 pounds of plastic film. About 85% of the normally landfilled waste at the start of the parade was diverted to the recycling stream. 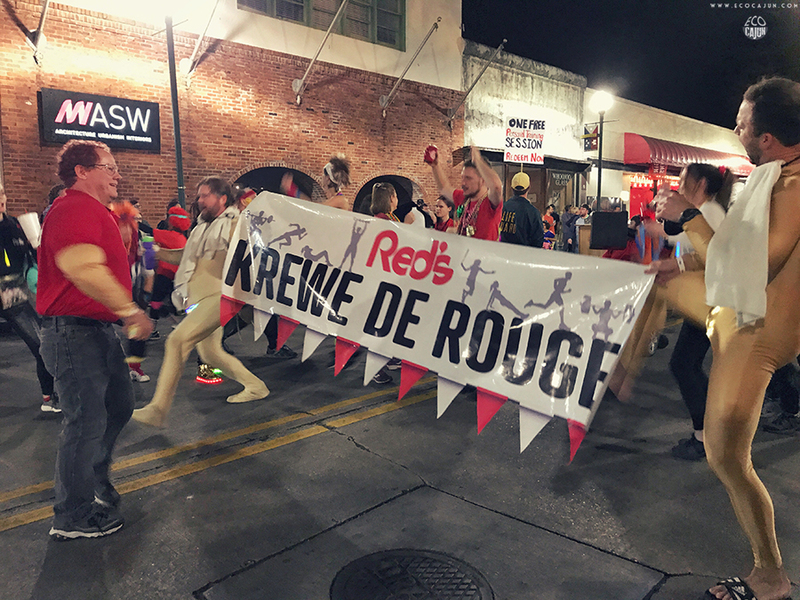 Love seeing the positive effects of the Project Front Yard/Krewe of Rio partnership! 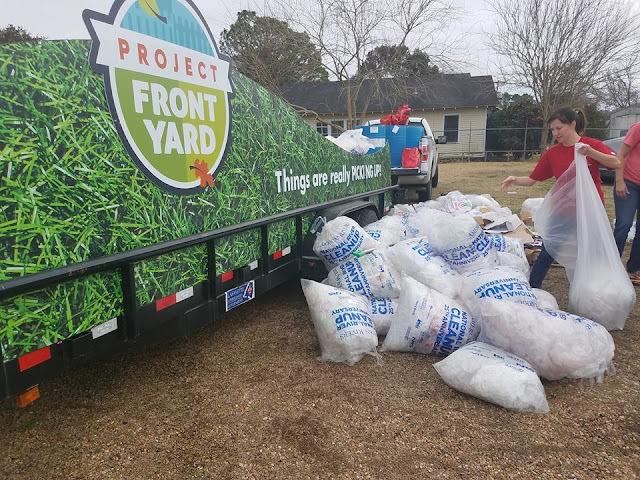 The first picture is at the parade staging area yesterday, with plastic bags neatly packed for PFY’s Plastic Bag Roundup and cardboard ready for recycling. The second photo is the parade staging area before the PFY cleanup in 2015. #alltheprogress #RioRecycles First 📸 via @337media! 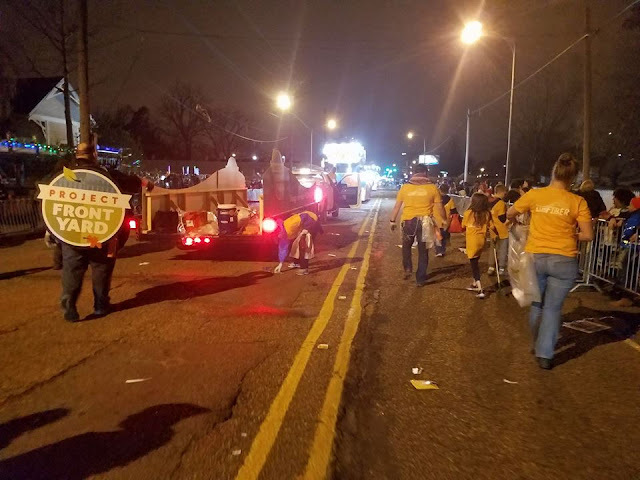 The volunteers then walked as the last “float” in the parade where they collected more than 5,300 pounds of beads to be repurposed and reused by LARC. 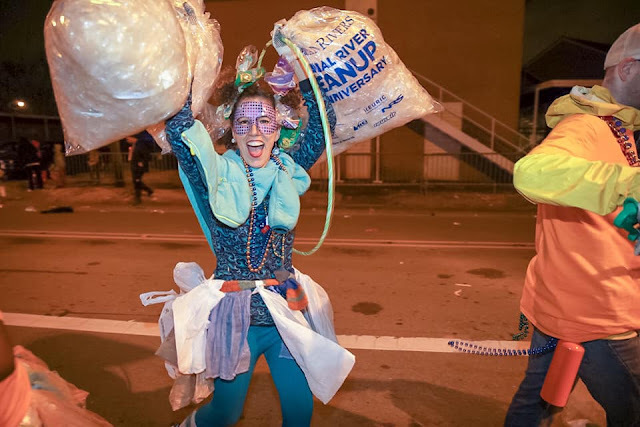 The overall waste reduction and recycling work decreased the parade debris, which would have otherwise been landfill-bound, by about 24 percent. The combined efforts of Krewe members and volunteers reduced the workload for Lafayette Consolidated Government’s Public Works Department, which cleans the parade route at the end of each night, saving dozens of man hours and $650 in dumpster fees, and preventing damage to LCG’s street sweepers from the plastic film that usually ends up in the streets. 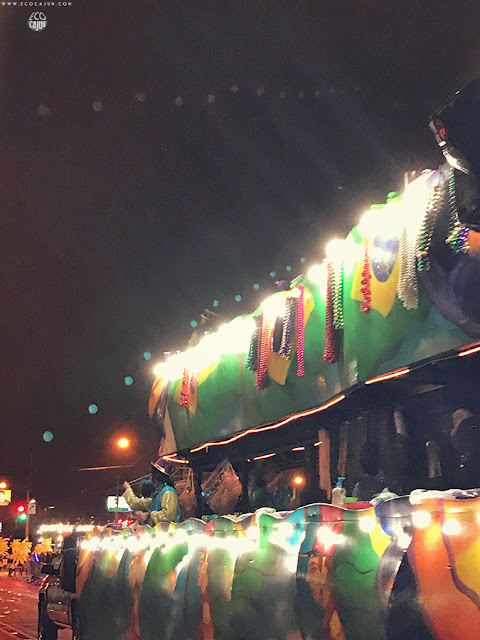 Project Front Yard worked with Rio float captains for two months to develop and implement a recycling process into their parade preparations. 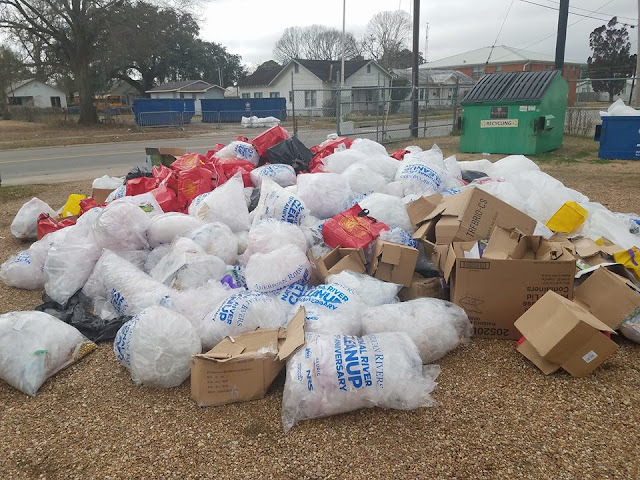 The krewe was encouraged to recycle cardboard boxes instead of throwing them in a dumpster and every krewe member was provided large plastic bags to collect all plastic film from beads. Bags were also placed on every float. This past Friday evening, Krewe de Canailles made its inaugural walk through downtown Lafayette with the theme of Local Legends. 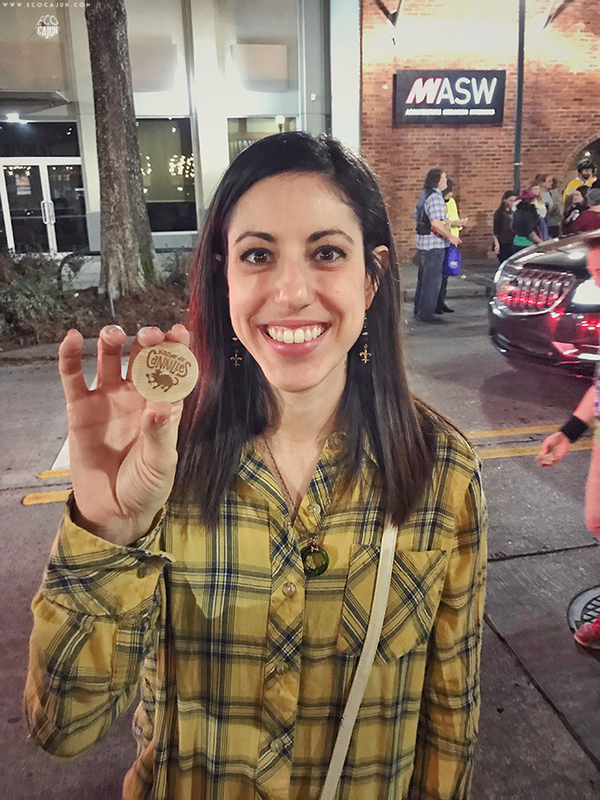 With a focus on sustainability, all throws had to be reusable or eco-friendly in some way - I caught a Krewe de Canailles wooden doubloon, a Sawbriar Brewery wooden doubloon and an Evangeline Maid bread button that's totally going on my backpack with my other buttons. Most everyone in the parade walked, and there were some bicycles/tricycles, roller bladers, and human powered 'hot tubs' and 'zambonis'. 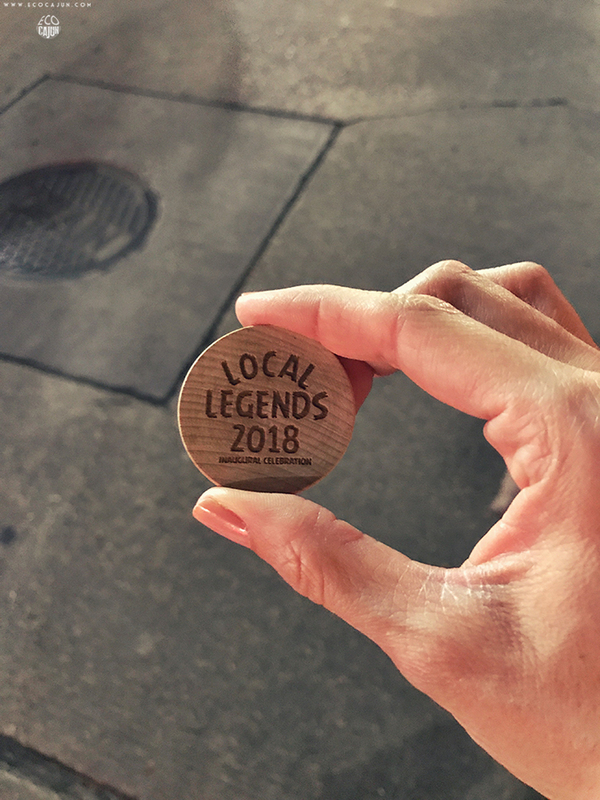 Every krewe's take on Lafayette Local Legends was on point, from the Popeye's Buffet, to Red Lerilles, to Sharon Moss, to the Ice Gators, and both KATC and KLFY. 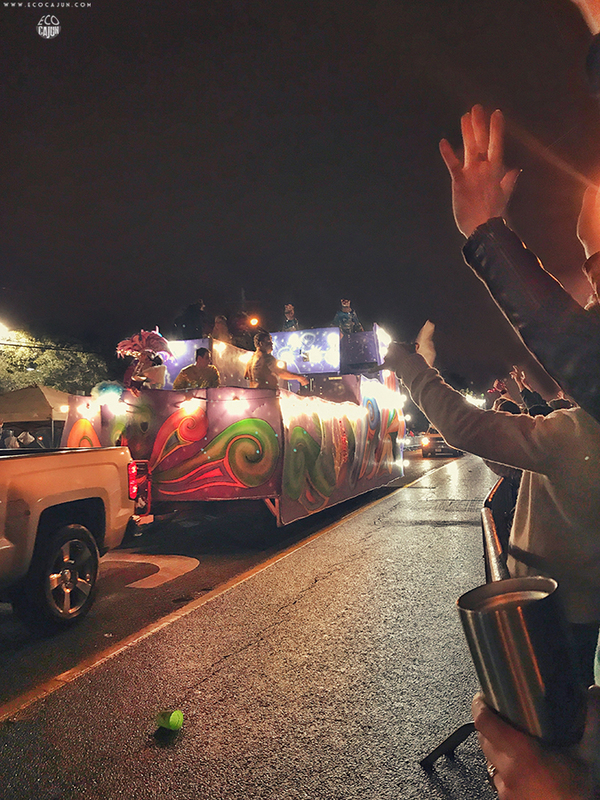 There are two parades rolling through Lafayette tonight and three tomorrow and I'm looking forward to seeing what we might catch that we can donate to LARC or Arc of Acadiana. And this year, St. Joseph Diner in Lafayette is accepting donations of plastic cups, which they use to serve water at all provided meals. 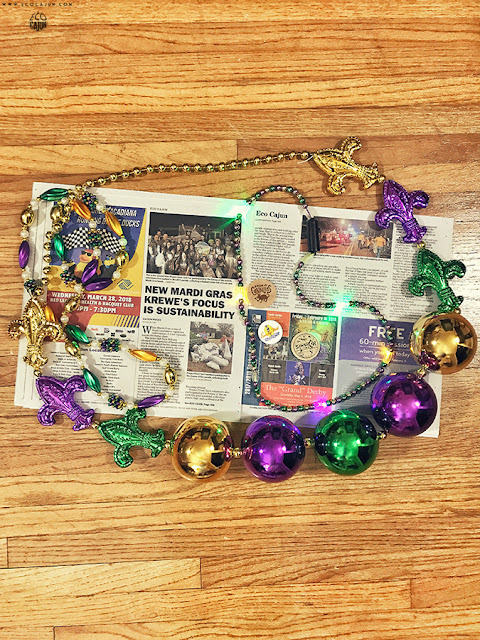 It's an excellent way to clean out your cabinets of all those Mardi Gras cups! At the parade this past Saturday night, I collected about six cups that were left along the parade route in our area with the intention of washing them and donating them. Hope you all have a great rest of Mardi Gras!